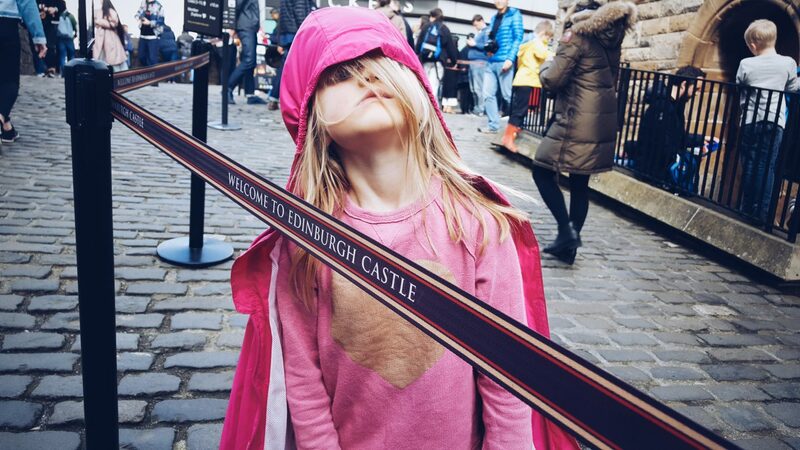 My kids are so unpredictable when it comes to sightseeing. On some occasions they love it and are wow’d by culture and architecture. On the other hand they spend every minute whining and moaning about aching legs and hungry tummy’s. But the reality of parenthood is that no matter where you are, kids have no reservations about playing up and “being themselves”. Of course you would never want them not to be, but there are moments and occasions where you hope that maybe themselves also means a little more decorum!!! This weekend we have been in Scotland for a lovely weekend away with cousins, and its been both wonderful and pretty mad too. Because the reality is, whether walking around the beautiful Streets of Edinburgh, travelling on the bus, walking over a bridge or even exploring an incredibly old and well preserved castle, kids will still climb where they shouldn’t, roll their eyes and not even try to be interested, jump around all over very old stuff, and act like little nutters in public..they will find it a great idea to all be superheroes at the same time and kick empty coffee cups at passers by (true story). 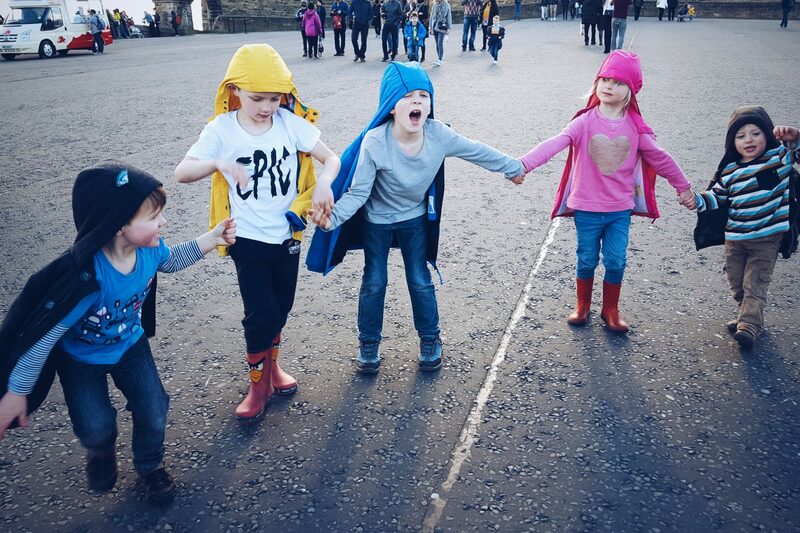 And yet we look back on these ordinary moments of half term breaks away and think what a super fun day. What a special and not so ordinary moment and time together. 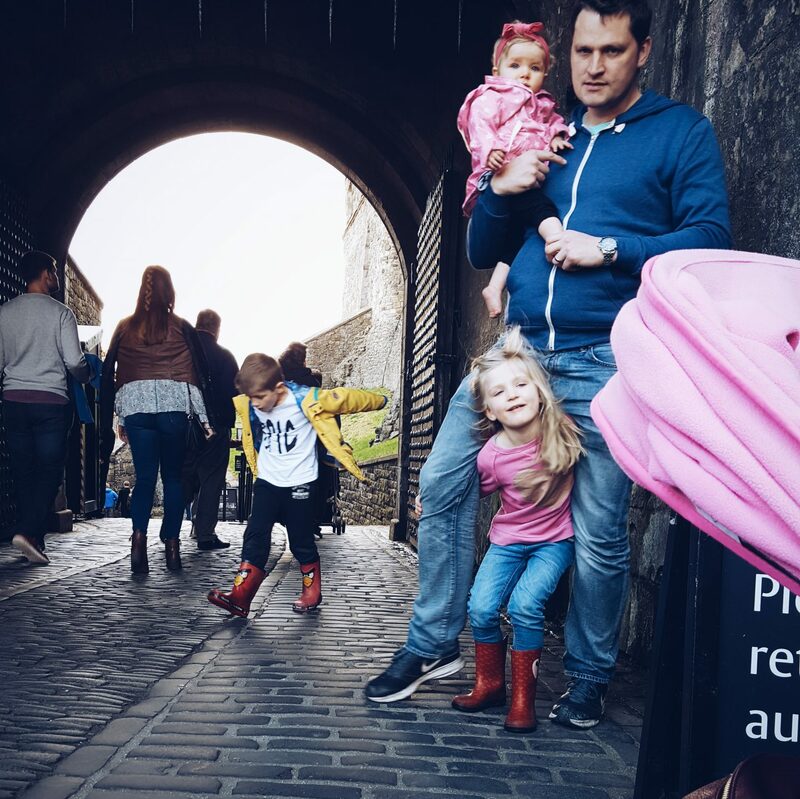 My pictures this week really make me laugh as they capture perfectly the ordinary moments of sightseeing and city touring with kids…the madness, the pushing the boundaries, the crazy cousinly antics. This is our ordinary – moments of fun, frustration, odd behaviour, memory making and sometimes wondering if we are mad! I love to travel with my kids and show them marvellous things, and it really does make me laugh how unpredictable they are when we do. 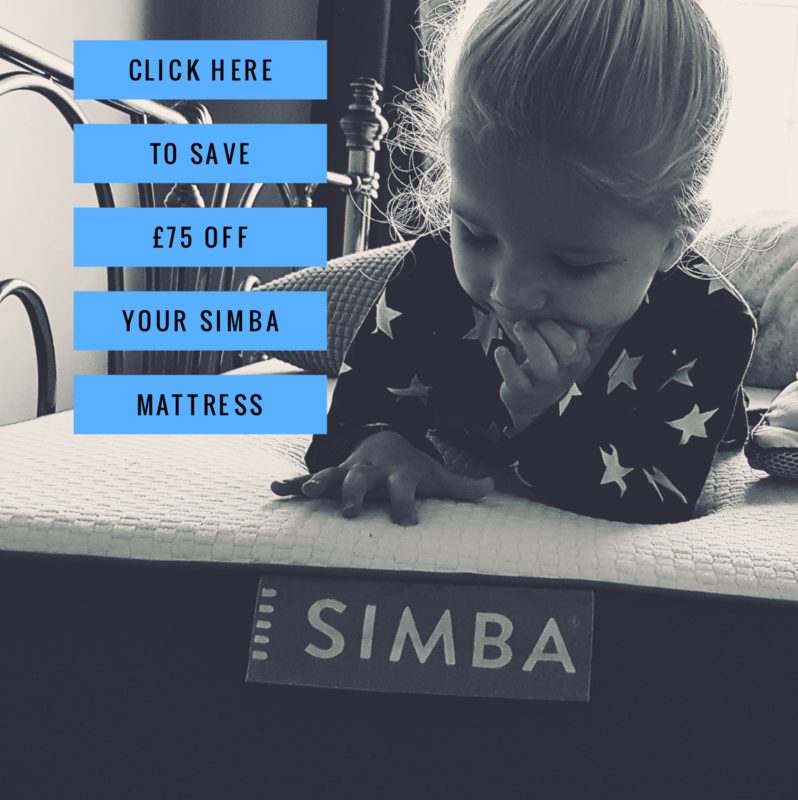 Previous Post Frugal Friday #9 – Little Angels nappies, Tk maxx reductions and Super Scooters! I love these photos and recognise some of those places in the castle! 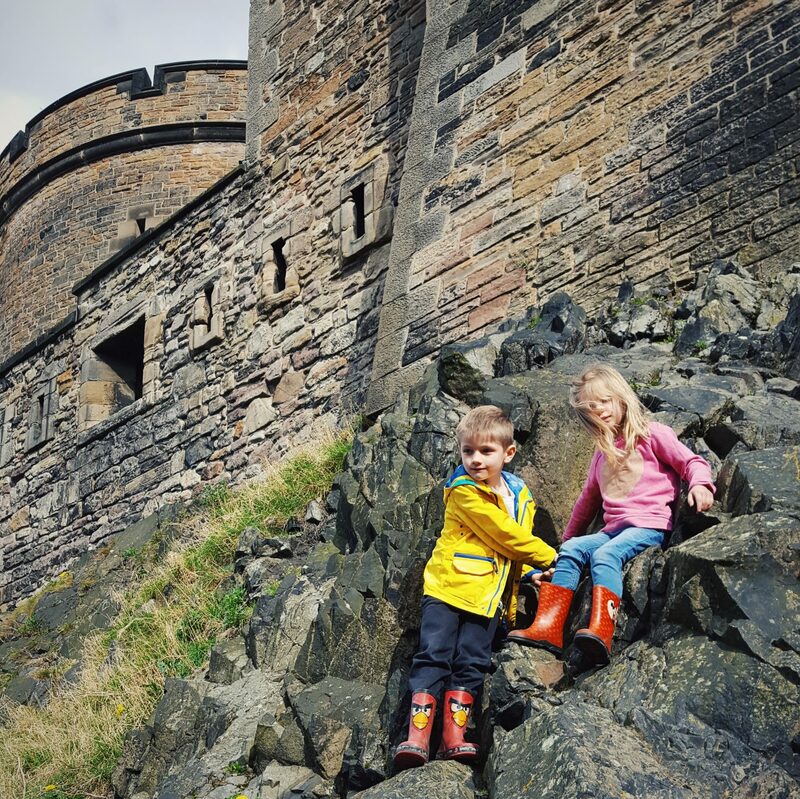 We love Edinburgh, its beautiful, we visited on our honeymoon, and took the children back for my husbands 30th a few years ago. You are so right, kids are so unpredictable and sightseeing with them was completely different from the sightseeing we did on honeymoon, but beautiful all the same! Your little lady on the first photo with her coat over her face, I can imagine all of my children pulling that exact same stance! !